WATERTOWN, MA (March 18, 2018) – VHB announces its acquisition of The Johnson Company (JCO)—a 30-person environmental science and engineering firm serving clients throughout the U.S. from offices in Vermont, New Hampshire, and Maine. Together with JCO, VHB’s growing team is poised to deliver a broader array of services and additional resources to meet market demands for clients nationwide. JCO brings a new Contaminated Site Assessment and Remediation (CSAR) practice to VHB. Established in 1978, JCO specializes in assessment and remediation of complex contaminated sites, environmental forensics, litigation support, liabilities and damage assessments, brownfields, and site/civil engineering services. VHB’s team of 1,400 professionals partners with clients from 30 locations along the East Coast on some of the nation’s most complex and challenging infrastructure and development projects. 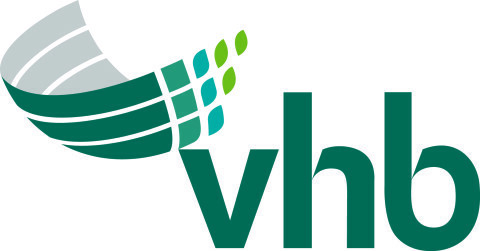 In New England, VHB operates from 11 offices throughout the region, including South Burlington, Vermont; South Portland, Maine; Bedford, New Hampshire; Watertown, Boston, Worcester, Springfield, and Hyannis, Massachusetts; Providence, Rhode Island; and Wethersfield and Middletown, Connecticut. JCO’s Glen Kirkpatrick, P.Eng., P.G., and Guy Vaillancourt, PE, will join VHB as Principals. As part of the acquisition, VHB will maintain JCO’s Montpelier, VT, location at: 100 State Street, Suite 600, Montpelier, VT 05602. VHB will continue to operate out of its South Burlington office. JCO employees in New Hampshire and Maine will join VHB’s Bedford and South Portland offices.